Welcome to the BAICE e-forum, again! Today’s discussions are facilitated by Dr. M. Ehsanur Rahman, Executive Director, Dhaka Ahsania Mission. 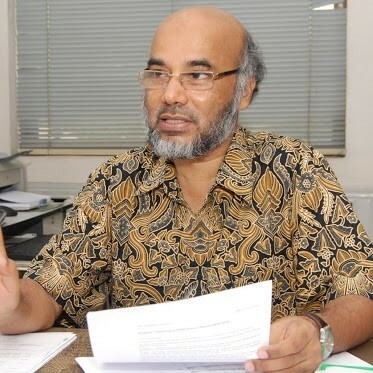 Ehsanur is currently the Executive Director of Dhaka Ahsania Mission and chairperson of the Coalition for Urban Poor, the network of CSOs working with urban poor in Bangladesh. He has been active in the education sector for about three decades. At the national and international level, he contributed significantly in capacity development of non-formal primary education, adult education, early child education and development personnel including planners, managers, curriculum developers and field level implementers. In development of education resource packages, he closely worked with various national and international teams. His significant contribution includes mapping Asia-Pacific regional scenario of adult literacy as a tool for empowerment of the poor. At present he is working relentlessly for promoting Community Learning Centre and inclusive technical vocational education as sustainable strategies to reach the poor and marginalized people. Issue # 1: Roles of higher education institutions in professional development of literacy/adult learning educators and widening the vision of adult literacy/learning. The scope of adult literacy and learning are often kept limited and programmes are designed with narrow vision. Women literacy/learning courses are, for example, confined to certain stereotype fields, having no scope for future journey or career ladder. There is absence of diverse and context specific literacy/adult learning programmes supported by wider goal of education suitable for the next decades. Professional development of adult literacy/learning educators is a key to widen the vision of adult learning/ literacy education, as it can bring longer term insights in course planning. At present in most cases the scope for professional/career development of adult literacy/learning practitioners is either very limited or not available. In many higher education institutions there are departments/programmes on adult literacy/learning offering academic courses and undertaking researches. On the contrast, we see very few of those courses are linked with practical adult literacy/learning programmes;the adult educators are seldom engaged in the studies. The point of discussion is thus, how we can enhance the roles of higher education institutions for professional development of literacy/adult learning educators and widen the vision of adult literacy/learning. We often advocate for increased roles of donors and investors in promoting adult literacy/learning. Simultaneously we observe low key on the part of the adult educators to provide the investors convincing evidence on effectiveness of adult literacy. There is difference in perceptions of the academics/researchers and the adult learning practitioners about effectiveness of literacy/adult learning. The objectives of research/study in adult learning/literacy education by these two groups often vary. Eventually the findings vary. Over last few days in the e-Forum the issue of limited scope for dissemination of research findings/usage of literacy programme documents in the academic courses and vice versa came repeatedly. I propose to bring the discussion again in the forefront to bring these two groups closer to bring synergy in this field to develop convincing evidences targeting the donors/financers for increased investment in adult learning/Literacy education. In developing countries, very often the literacy issue is part of political commitment of the ruling party. Once the issue is missing from their wish-list or party manifesto, it gets less notice. Higher institutions both in public and private sector mostly address the job-market needs now a days. For a student, a business degree is much coveted than taking a degree in literacy or subjects likes these. Therefore, it is the responsibility of a Government to support higher institutions with budget and physical resources, so that they can undertake initiatives to create an environment of literacy-study, field based researches and recommends practical solutions to remove illiteracy. Unless, there is a clear road map, properly articulated and endorsed by the government and the practitioners both, of translating this dream into a reality, rhetoric as mentioned in National Education Policy or in any other instruments as such may remain as a ‘paper work’ eventually. Two very important dimensions are indicated in the comments of GF Hamim – Political perspective of literacy and the corporate perspective. Thanks for bringing these in to the discussion,both of these two are strategically significant. Largely its the politicians who formulate policies, allocate budget. On the other, its the corporate sector that in most cases creates employment opportunities for the graduates (outputs) from the education (including literacy) systems Even with giving due importance on social and cultural goals and values of education, the economic goal surpasses. Having this in context, now the challenge before the adult literacy/learning actors is to convince the politicians so that they make real and attainable commitment. The only gateway is research/evidence based advocacy (which we have talked time and again over last few days). Same logic goes for the entrepreneurs to convince them to value appropriate educational courses. Here the need for continuity of the literacy/learning programmes backed up by action research to (re)formulate market-oriented courses. Thank you Dr.Ehsanur Rahman for the interesting discussion. Higher Education input is important in raising adult education/learning to a higher level. If people do not see improvements in the way adult education/learning is conducted, then, it is not something they will go for. To be able to define the term literacy, to find out the people we are referring to as illiterate, and the appropriate skills and knowledge they need necessitates that people have higher education. This could explain why many literacy programs in our developing countries have not succeeded in improving the lives of people. Second, financers can become more considerate to your program if they see that your program to enhance the capacity of individuals or communities to become more productive in society. Traditional concerns of reading, writing and arithmetic can no longer convince donors unless they are related to productivity. It means that the program should demonstrate its practicality or functionality in the community. Knowledge and skills should be for enhancing what individuals or communities already have. This means that individuals involved in the program must be careful in designing the course and making sure that literacy is well defined and those those who are illiterate are identified. The emphasis given by Denis Katuslime on careful designing of literacy/learning courses keeping in mind the future goals is an extremely important point. I see here the roles of higher education for input and to facilitate academic and professional capacity enhancement of the adult literacy and continuing education educators. And this simultaneously pays back in taping the supports of financers/investors who generally engage the researchers/professionals from higher education and/or research institutions. Higher education institutions with community extension work can help a lot in understanding adult literacy/education with marginalized communities. From its practice, it can help develop professional development for adult educators whether they be in government or from non-government organisations. I think crucial in adult literacy/education is the understanding of the community. Adult education as we said in this e-forum should be grounded on the needs and realities of the learners themselves. Therefore frameworks and tools of organizing communities, understanding their contexts as well as motivating them to learn through participatory learning are crucial in the curriculum for professional development of adult educators. The higher education institutions — being an academic institution with community extension work is in a good position to develop such a curriculum for adult educators. At the same time, adult learning leading to decent work and civic participation would need an understanding of the macro-economic and macro- political contexts. How to link learning to participation, how to ensure learning leads to decent work, how learning can be linked to these larger contexts, require analytical theory and rigorous practice that can be provided by higher education institutions given their partnerships with government, business and non-government sectors. Comments by Thea is appreciated. Yes, understanding of the community is important in adult literacy where Higher institutions have a major role to contribute. he fabric of community is diverse with multi-fold needs. In a community, where main language and ethnic languages have a co-existence, strategy of designing and implementing literacy programmes can be a complex and daunting task. Higher education institutions may focus in this area too. This is an interesting aspect of the development of adult literacy, linking community learning and Higher Education. It is clear that HE has far greater status and power in the minds of politicians and policy shapers, than informal adult literacy learning but linking the two together could help to increase the recognition of the latter. I recall how interest in adult literacy and numeracy increased when the UK government set up the National Research and Development Centre for Adult Literacy and Numeracy at the Institute of Education, now part of the University of London. The synergy created between practice and research helped to increase the impetus of development ‘in the field’ as well as raise information, insight and knowledge of politicians. The challenge is ensuring that the developmental aspects, with practitioners, have the same status as the research; this helps to bridge the gap between academia and practice. Yes, it seems to be a good idea that HE institutions/ academic researchers and development programmes practitioners achieve a closer cooperation. The latter do research about themselves, which, however, could tend to be politically orientated. Researchers, relatively independent, could remedy for this drawback when involved. Fusheng Jua, I agree with you that closer collaboration among HE institutions/academic researchers, donors and adult literacy/learning implementers. But, how is this possible? Does anyone of you have experience with this regard? How can we bring this tripartite collaboration?? Thanks for your feedback, Turuwark. I don’t know how that would be possible. My fieldwork experiences in China’s adult education and learning told me that there was a gap between these two parties or even three or four. That is why I thought if it would be necessary or possible to connect them. The discussion at this stage centred around partnership of HE institutions and literacy programme planners/actors. There are many instances of working together for targeted research like action research, impact analysis through longitudinal study (through very few), project works by the faculties, field works/research by the students. All these take place on ad hoc basis aiming at targeted products! What we now need to look for institutional arrangement for programmatic partnership to contribute to practical insights by and from the fields in the HE courses and also enhancing capacity of the adult educators to work in teams of HE professionals/Researchers. Ideas for setting these sorts of institutional arrangement and collective financing are welcome. One idea for institutional arrangement can be establishing a tripartite agreement among HEs, donor/Govt and literacy implementing organizations. This would blend academic knowledge, financial and physical resources and lessons learned from practices. This arrangement would facilititate adult learning in resource constrained situation particularly in South Asia and sub-Saharan context. It seems common that the qualities of practitioners and adult educators are the most determinant factor in achieving sustainable literacy progress. As higher educations are the place where qualified individuals produced, the policy makers and NGOs need to give their ears to the voices of scholars and researchers of higher educations institutions so that they play their roles to ensure the success of the literacy program objectives. Temesgen and GF Hamim’s ideas pave ways to develop some models of partnership (tripartite or bilateral, as situation supports). This lead to develop a kind of conceptual framework of ‘creating macro-debate based on micro-findings complemented by taping macro-debate dividends for micro-planning’ – thanks to Anna for her insights yesterday to make this type of bridging. In having joint undertaking language of research become an issue. This also came once in the discussion of this e-Forum. In majority cases English is used for research; research in national/local languages is not still a common practice. Since we have been talking about collective works, engagement of micro-macro stakeholders, and wider dissemination or usage of the research reports, potentiality of use of both mainstream language and national/local languages in undertaking research may be explored. It has cost implications, but might be cost effective from ‘return to investment’ perspective. I definitely agree with the ideas you raised. The essence of adult literacy, as you said, is narrowly perceived and the vision of adult literacy/learning is very short sighted. This is partly due to the perceptions attached to adult literacy. In Ethiopia for instance, adult literacy is not even considered as a science that requires experts. It is widely assumed by many people that any literate person (a person who can read and write) can provide, manage and facilitate adult literacy programmes. This narrow assumption has resulted in many consequences. First, it led the government and other concerned bodies to set the adult literacy issues aside to the extent of terminating college level adult education programmes. Second, it led higher education institutions to neglect the professional development of adult literacy/learning educators. In order for higher education institutions invest on producing adult educators and thereby broader the vision of adult literacy/adult education, the prevailing assumption about adult literacy/education has to be changed. Much work is needed with this regard! In addition to this, we can enhance the roles of higher education institutions by providing capacity-building opportunities, especially for developing countries. Regarding the second issue, as you mentioned, the donors require tangible evidences to invest on adult literacy. This necessitates the need for more empirical studies on the contributions of adult literacy. I think case studies are more appropriate to identify success stories and then to convince donors. Thank you for raising both points of critical importance. The convincing evidence for financiers and donors is something that I am always looking for. I wonder how we can enhance such evidence, especially cost-effectiveness of literacy programmes, impacts of literacy learning on people’s lives and societies, as well as how existing funds for literacy are actually used. Are there examples of collaboration of researchers and practitioners who work in different thematic areas? Many thanks to everyone for joining the forum today. Collectively we could generate some ideas to move forward. Let’s now look for examples and practices around those particularly bridging institutional connectivity between HE and Adult Community Education. We can also work together to create examples for our own context and making those adaptable to other contexts. Particular thanks to the BAICE team for facilitating & offering us the platform for interaction. I would like to share that higher education institutions should engage more in community development in terms of implementing various literacy projects at community level and providing capacity building for community people especially in PAR. This issue should be considered as important indicator showing quality of the institutions.